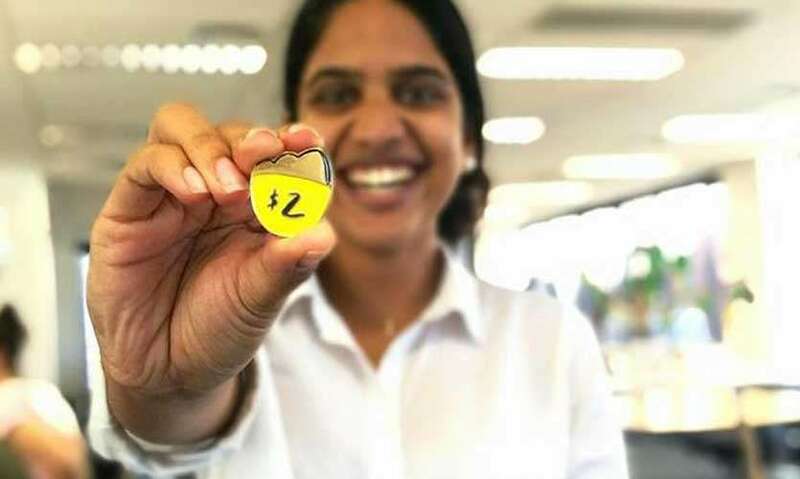 Sashenka Lakshmanasingha Worsman, is the CEO of youth run not for profit Oaktree, famous for the “Live Below The Line” campaign that encourages participants to survive on $2 a day for five days. Currently, the organisation has over 200 volunteers across the country and focuses on the reduction of poverty and injustice in the Asia-Pacific region. 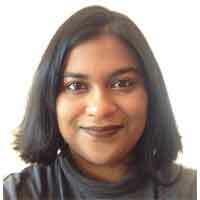 Sashenka’s childhood in Sri Lanka influenced her choice of study and subsequently her career path. 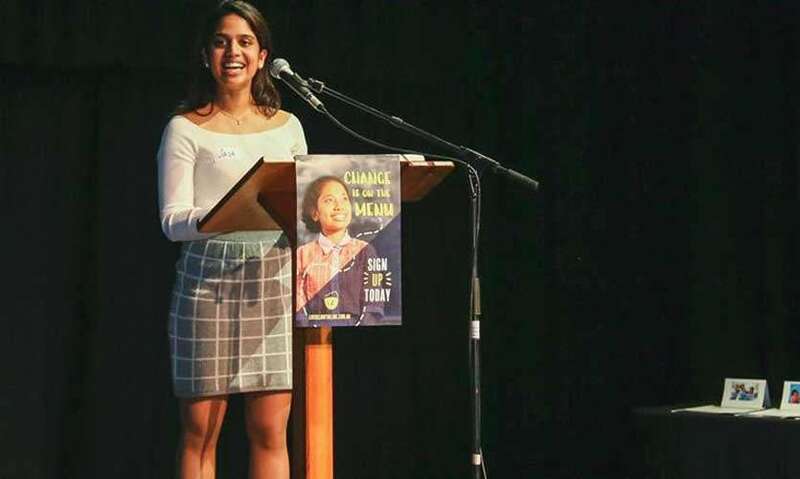 She has a double degree from the University of Adelaide and has volunteered at the Australian Youth Climate Coalition (AYCC) and World Vision. 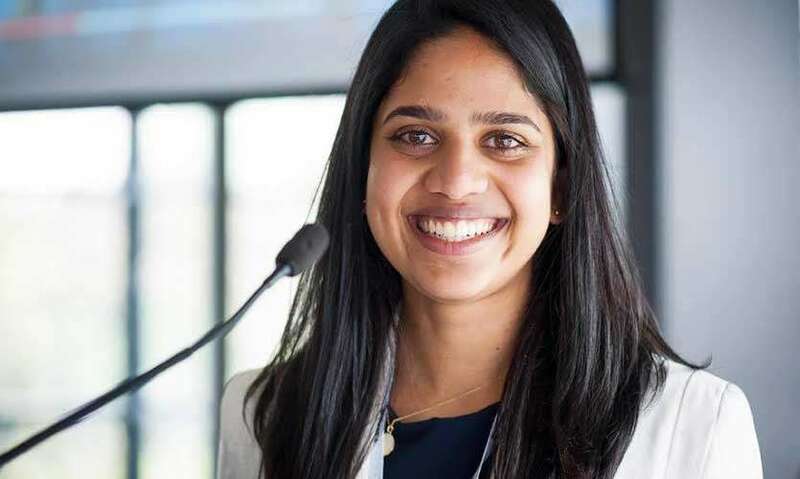 During her studies, she was a youth delegate for the UN Climate Talks in her work she has spent many months in the east coast of Africa, South East Asia and the Pacific working to reduce inequality and injustice. Sashenka opened up to me about young people making change, people management and race in Australia and Sri Lanka. How did your early life impact your understanding of poverty and the need to take action against it? Growing up in Sri Lanka I was surrounded by poverty and inequality. I know what it was like to feel like ‘the problem is just too big’ or think ‘what can I do to make a difference’. Families who aren’t fighting to escape the cycle of poverty [tended] to become desensitized, apathetic or disempowered to the issues around them - but it is in that moment that we lose hope, and it is so important we do everything we can to change that reality. The poverty I saw in Sri Lanka was certainly more personal. I knew there was more to be done. I had seen the impact of the injustice of poverty but also the hope and the possibility of coming out of [it]. What type of issues is Oaktree currently focusing on? What type of organisation do you see it becoming? With over 250,000 supporters [Oaktree is] currently Australia’s largest youth run international development organisation. Our mission is young people leading, demanding and creating a more just world. We know that young people aren’t just the means to an end but a solution to some of our greatest challenges. [At the moment], over half the world’s population is under 30 years old. Never has there been such a large population of young people. We believe they are ready to take hold and create change in their communities. We see this not as a demographic statistic but as a historic opportunity. Some of the most significant social challenges we are facing [include] climate change, extreme poverty, depression [and] war affects young people disproportionately. We harness the energy, the skill [and] capacity of young people to drive change. We can’t solve these issues without engaging people equally. We have recognised that young people aren’t just the future. We are the now. We are not just high energy, passionate people who want to talk about things but we actually have a stake in these issues. We try to create spaces where young people can participate meaningfully - they can create solutions; they can access leaders and people of influence to share their values and opinions. We have also changed the way we do our programming to put young people at the center of what we do and not just “for” young but “with” and “through” them. We run a number of programs. We have a student ambassador program and a campaigners for change program which we run to build the capacity of young people. We work with young people across the region from Myanmar, India, Timor and Papua New Guinea. We [have] worked together to build a movement in an entire generation who are working towards a more just world. You manage 150 volunteers and 200,000 stakeholders. How did you learn to manage people at such a young age? I think people management is one of the most complex things. Every single individual is different. I would like to think that one of my strengths is that I can connect to people and I enjoy being around people. I am curious about people. It has always been something that has energised me. I try to genuinely care about the individual and to do so authentically. It hasn’t come out of the blue. In university, I volunteered in management roles which gave me that experience and I had mentors who advised me as well, particularly when there are challenging people management issues. I try to learn from people around me. I think there’s something to be said about listening and asking questions. Before I employ someone I am managing, I take them out for a coffee and I ask them questions: How do you best learn? What type of management style do you like? What are things that stress you? How can I support you? People often have the answers you are looking for if you don’t make assumptions and jump to conclusions. Listening, looking out for nuances and genuinely caring about an individual’s contribution to an organisation [are important]. 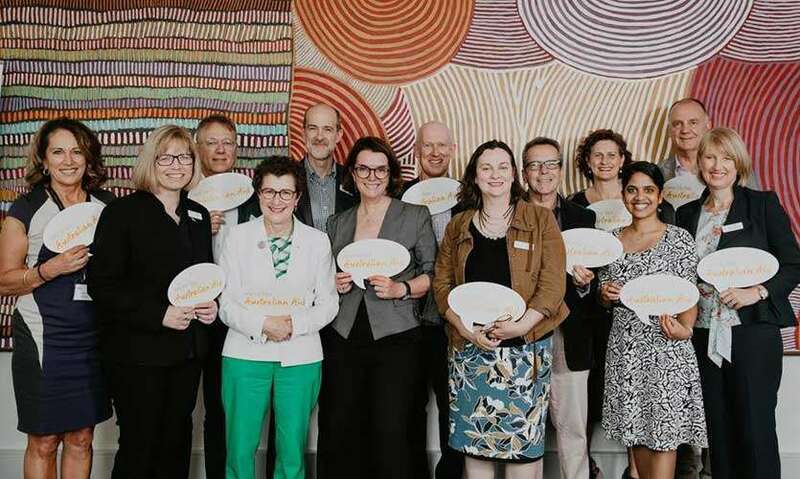 You are a board member of ACFID (Australia Council for International Development)? What do you do at this organisation? Why was it a good fit for you? ACFID is the peak body for international development in Australia. It works in over 90 countries, is represented by 130 organisations and is supported by 1.6 million people in Australia. As a board member, there’s a number of things I do like governing ACFID and ensuring we achieve our objectives. What was important for me about being on a board was [exposing] my strengths and [thinking about] matching my strengths to needs in the community. At ACFID I recognised there were no young people on the board. You can’t actually come up with solutions for young people if you are not actually asking a young person. [There were also] few people of colour. I felt like there was a gap there that I could fill. Organisations, communities, operations and boards are stronger when they have more diverse voices in them. Do not underestimate the soft skills and the perspectives that people can bring into those spaces on top of their professional experiences. It is so rare to see a person of colour occupying a high position in Australia. Tim Soutphommasane, the ex-Race Discrimination Commissioner, stated that 90% of CEOs in Australia have Anglo-Celtic and European background. What are your thoughts about being the only person of colour in a room? There’s a quote I really like “You can’t be what you can’t see”. If I don’t see another woman of colour in a space that I would like to be part of; it is easy to automatically take myself out of the picture because I assume there’s a reason for that or I can’t imagine being in that space in the first place. There are moments I can recall where I am sitting in a room and I’m listening to conversations and dialogue and I am thinking “Why hasn’t this perspective or issue being raised?” I realised there just wasn’t anyone who had that perspective to raise it in the first place. 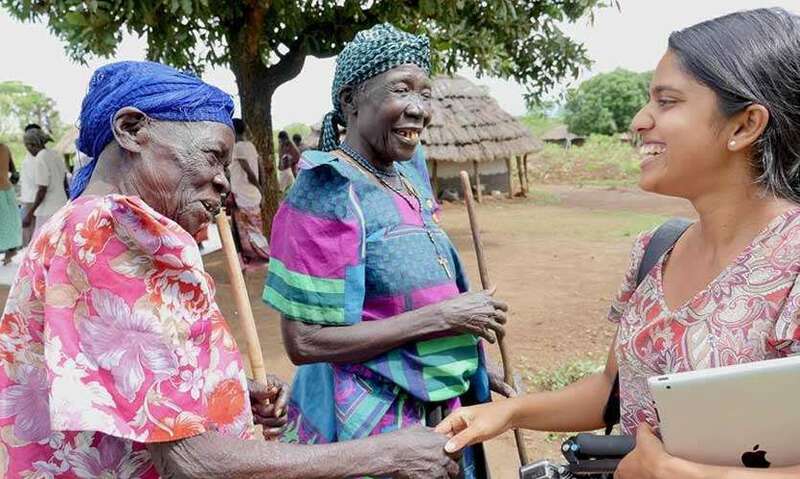 [In the international development sector] there’s [still] a lack of understanding of how to get there and a lack of understanding of what barriers need to be addressed for people of colour to get to those spaces. At Oaktree, our entire executive team is of colour and that’s the first time that has ever happened. Suddenly, people can see there are other people of colour in leadership and they can put themselves up there as well. So that’s another thing [that’s important], the visibility. The other thing is probably the stereotyping. I am a combination of all my identities. When people try to understand people of colour, you kind of get boxed into this one group of homogenous people. You must all be conservative? Or, you must all be studious? Just hang on, get to know me as a person instead of just making assumptions. What have you done to make Oaktree, an “environment for change” for people of colour? Personally, I try to be conscious of being inclusive. For instance, I have tapped people on the shoulder within the organisation who have potential or have something they might relate to with me - it might be other young women or other people of colour. They might want to talk through their aspirations; or troubleshoot, or [access] peer or support systems they can tap into. [Australia has] a culture that is White leading around social activities. There might be a lot of people who might not be into the drinking culture, depending on their religion particularly. We have a framework at Oaktree which identifies different barriers which might be faced by different communities - for example, people living with a disability or coloured people. We list out the barriers to including them and we try to come up with strategies to mitigate it. We [also] have a diversity council and they advise us on how we might do it. We actually have quite an institutionalised process to [hire diverse people, including culturally and linguistically people]. 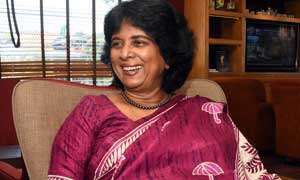 As a person of mixed ethnicity, can you touch upon race relations in Sri Lanka? We are not so different. Whether its Singhalese or Tamil; Buddhist or Christian; Hindu or White; we all have pretty similar dreams and aspirations as human beings. We might take different parts to get there but we all want to live a life of purpose, be happy and contribute. It’s the moment our differences are seen as something to be celebrated that makes us stronger as human beings. It is about listening, being curious about people and understanding people’s thoughts without judgment. We all have a story.